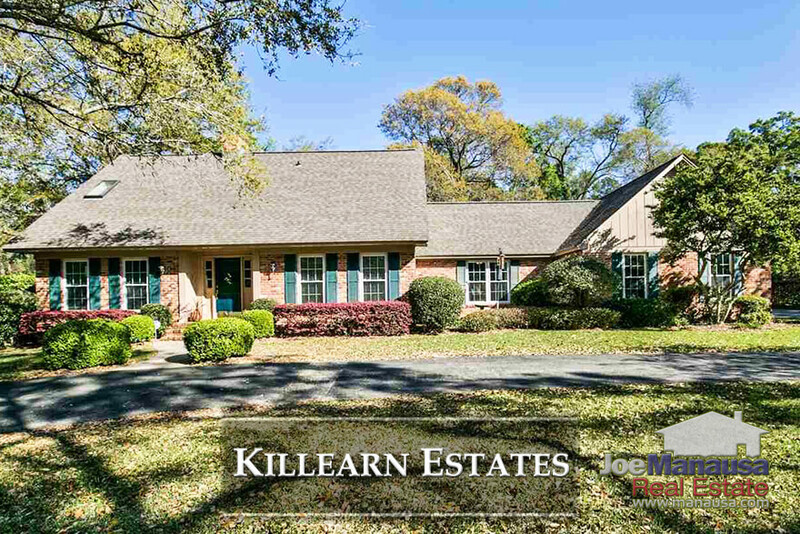 Killearn Estates is arguably the hottest selling and most active neighborhood in the Tallahassee real estate market. Featuring homes from the low $100Ks to well above $600K, this popular community features location, location, location and so much more. It is important to note that the narrative contained below is through the end of the year for all past years, and through the fourth week of April in 2018. The graphs and the closed sales table will be continuously updated into the future (meaning bookmark this page if you always want to know the current status of homes in Killearn Estates). Average home prices in Killearn Estates have moved 7% higher already in 2018 and we expect them to continue higher. Buyers want to be here, and lenders are still handing out money at very low mortgage interest rates. Home sales activity in Killearn Estates is extremely strong. Well marketed homes sell right away. The number of sales here this year will only be limited by the number of homeowners who decide to move. Buyers are standing by and waiting! Currently, there are 79 homes for sale in Killearn Estates and almost half of them are already under contract! 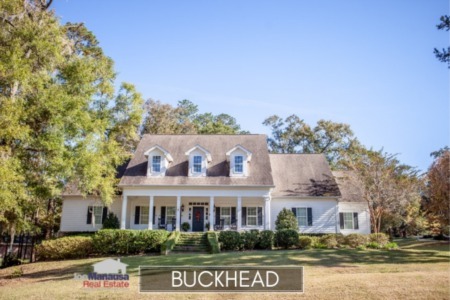 If you want to sell your home in Killearn Estates, utilize the massive marketing campaign that is bringing fast sales at top dollar to home sellers today. 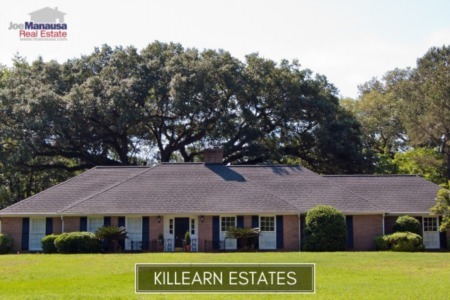 Currently, the average value of a home sold in Killearn Estates is $126 per square foot. Killearn Estates home values continue to push higher, recovering to within 8% of the values reported at the peak of the housing market in 2006. The average home size sold in Killearn Estates typically falls in a range of 1,900 to 2,200 square feet, and that is what we are seeing in 2018. The 60 homes sold in Killearn Estates thus far in 2018 have averaged 2,052 square feet. This concludes our May 2018 update on home sales in Killearn Estates, please give us a call at (850) 366-8917 or drop us a note if you have questions not covered in this report. 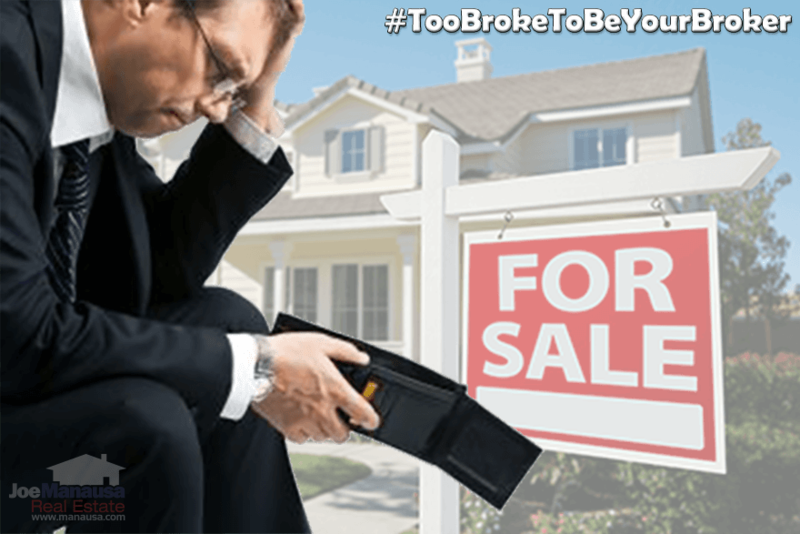 How do you choose a Realtor? Listen to their past clients! Here's what people are saying about working with Joe Manausa Real Estate, and you can see hundreds of real customer reviews reported on Google, Facebook and Zillow right here: http://www.manausa.com/testimonials.